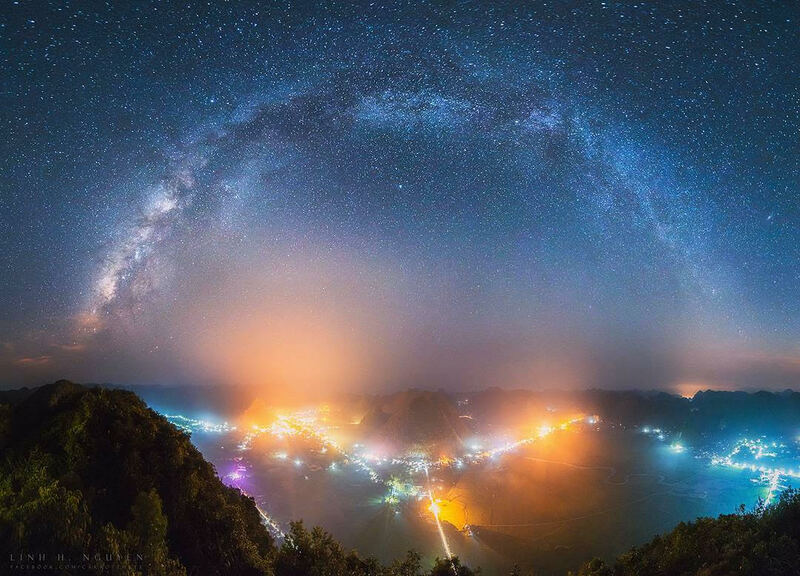 This week we would like to feature an amazing shot of the Milky Way taken over the Bac Son Valley. Located in Lang Son province, this remote destination in the Northeast Vietnam has attracted thousands of photographers due to its towering mountains and lush green paddy fields. However, in this photo, the Milky Way offers stunning competition for the most lovely part of the valley.